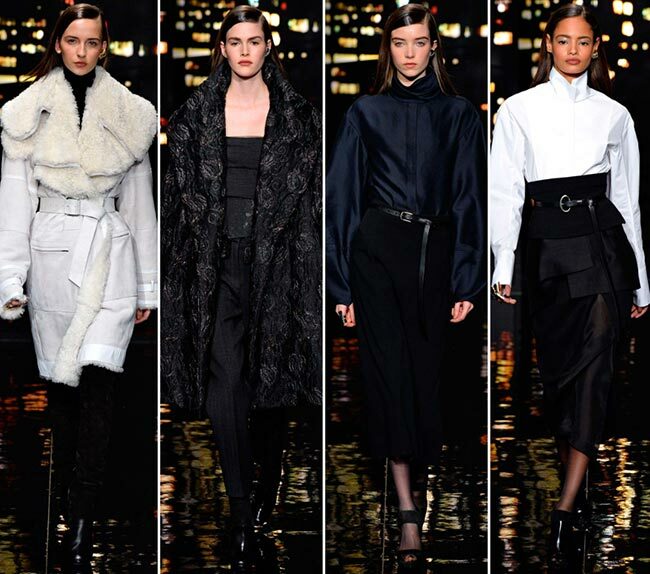 While the DKNY brand focuses moreso on the downtown girl and her needs as a fashion forward individual, the Donna Karan woman is all about the uptown and the glamour that it encompasses. It is about the woman, who is always on top, strong, the one wielding the power in the company, in the home, on the streets. She dares the world to contradict her decisions and stands firmly with a confidence that can knock over giants. 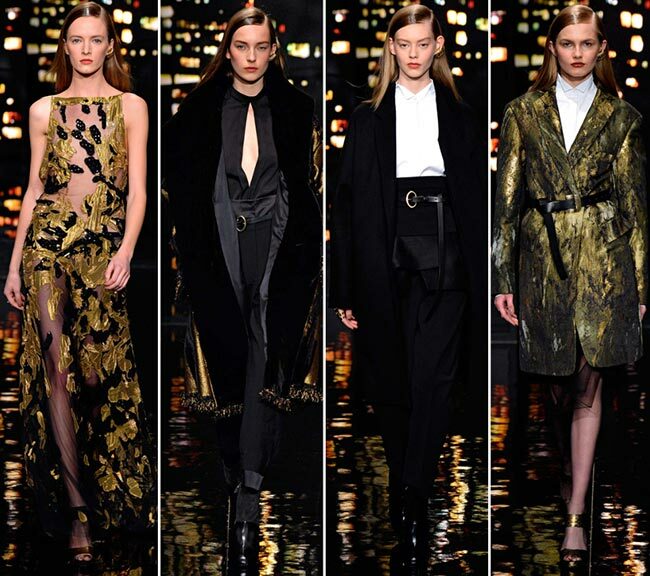 The Donna Karan fall/winter 2015-2016 rtw collection certainly encompass everything from the perfect professional attire to the black-tie affair at night, while still remembering that a woman has a life beyond the office and the fabulous red carpet events. The New York Fashion Week was bursting at the seams with such incredible passion portrayed in a line-up of 40 outfits specifically made with the power-driven woman in mind (much like the designer herself). New York is Karan’s greatest inspiration, which is alluded to in every season, never so much so that during yesterday’s focus on the runway; that means everything from the night time skyline to the black and grey building in the background, the glinting gold of the lights and the general aura of New York were embodied on stage as the backdrop for the women’s collection. The ladies strode out in confidence, carrying themselves on platform sandals and boots that help show off their long and lean silhouettes. The multi-national population of the city served as the greatest inspiration to get the creative juices flowing and to help create a fashion show that has not yet been presented on the catwalk this year. That means including Obi-like belts and origami folds as an ode to the Japanese and Asian populace, while burnished brocades and opulence of fabrics definitely made their own mark on the runway. The focus here is on tailoring, on the cinched waists and form-fitting designs that really show off the fact that one is confident in the body she owns. 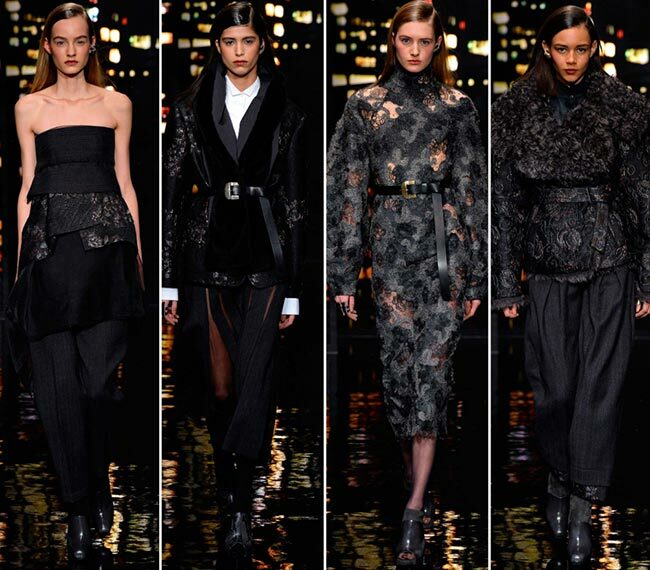 Blazers and leather bomber jackets came under the spotlight, as did the long-haired shearling-lined brocade number. 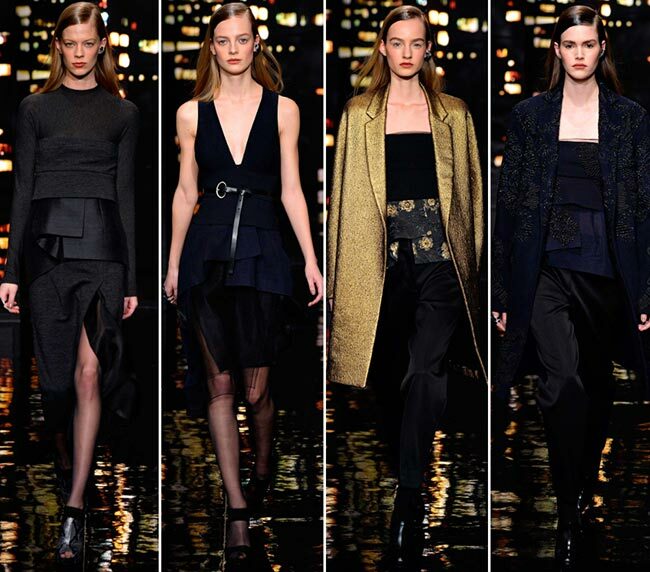 The looks were polished, chic and professional, while making all forms of statements that we are left to decipher. Most importantly, there was a modern spirit embodied in it all, a form of yearning to keep creating the better, the most alluring designs possible. We had bare shoulders and black gowns with folds and tucks, while sheer panels that have been a staple of so many designer shows peek through with confidence, without making a fuss at all. 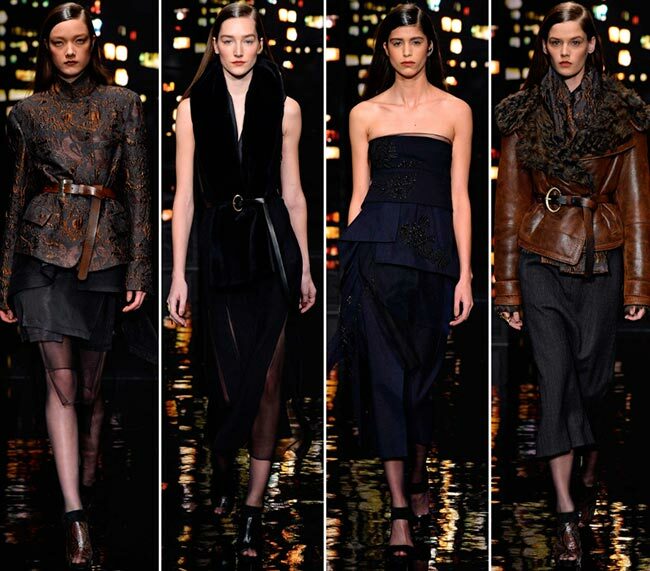 There is certain elegance to the whole of the Donna Karan fall/winter 2015-2016 collection, a sophistication that enters into the question without appearing conservative. 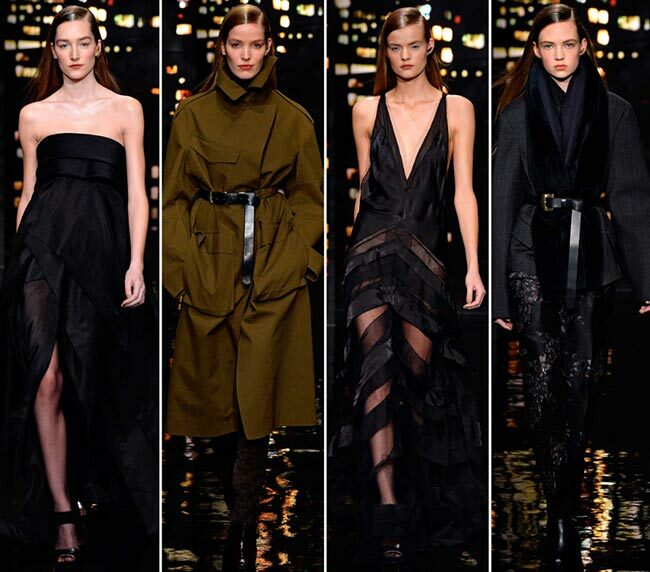 Donna Karan knows how to capture the modern woman in her designs and she does it with such incredible talent that we are left awestruck in her stead. From the lush fabrics that included silks to the statement coats with their faux fur detailing accents, the rich gilded embroidery and the belted fur shawls, it was all uptown glam with a pinch of downtown edge. We wouldn’t have had it any other way!